Truckloads of gaunt women and children fleeing IS’s last stand in the Euphrates Valley disembark daily at the Al-Hol camp, including 200 who arrived Thursday. 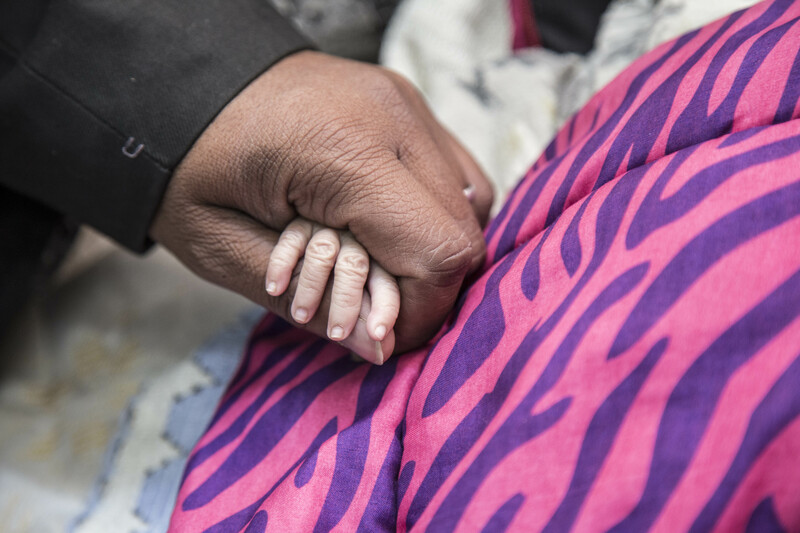 KRC workers quickly scan the infants – particularly those under a year old – for thin limbs, taut and dried-out skin, or signs of diarrhea, said Senno. “They’re practically dead when they get here. But if we can catch them and send them to hospital in Hasakeh, we can save their lives,” he said. More than 37,000 people have fled the shrinking IS-held enclave in the eastern province of Deir Ezzor as the U.S.-backed Syrian Democratic Forces bear down on the jihadists. But that desert odyssey can be deadly – at least 35 newborns and infants have died either en route to the camp or just after they arrive, according to the United Nations. She was allowed to accompany him to Hasakeh for the day but has not been authorized to return. “We’ve been here 10 days but her weight keeps going down, not up. She has diarrhea and is vomiting,” said Shamaa, 23, pacing anxiously as she waited for an ambulance to Hasakeh. Asl lawmakers in the U.S. prepared to vote on a war powers resoloution seeking to end American involvement in the war in Yemen in November, humanitarian officials were warning that the country is on the brink of a near-apocalyptic disaster. According to the U.N., Yemen is already facing the world’s worst humanitarian crisis. A recent study estimates that at least 85,000 children have died of extreme starvation as a result of the war and experts warn that millions more are at risk of suffering the same fate if fighting continues.